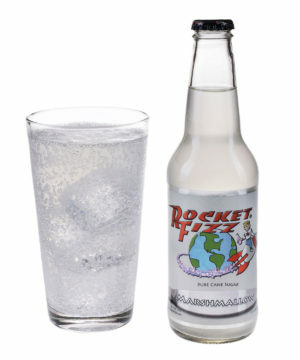 Marshmallow Soda: Sweet soda that tastes like marshmallows! Marshmallows are good in any form: plain, toasted, whipped…and now soda’d! Marshmallow Soda is a smooth, fizzy drink that you won’t want to stop sipping. It has a sweetness befitting its sugary namesake and a hint of creaminess that leaves your mouth with the sensation of savoring a soft, puffy marshmallow. While this treat is great on its own, we can’t help but think how amazing it would be to combine it with Chocolate Soda to make a soda s’more!